At the start of the new millennium, the Christian Brothers founded by Blessed Edmund Rice decided to hand on responsibility for the Schools to a group of lay people. The Edmund Rice School Trust (ERST) was established to hold the Schools in trust so that they may continue to provide Catholic education into the future for the people of Ireland. In handing over their Schools to the Edmund Rice School Trust, the Christian Brothers have placed their confidence in a group of people who are deeply conscious of the great heritage of the Schools. These people ensure the future of the Schools as Christian communities dedicated to learning excellence. 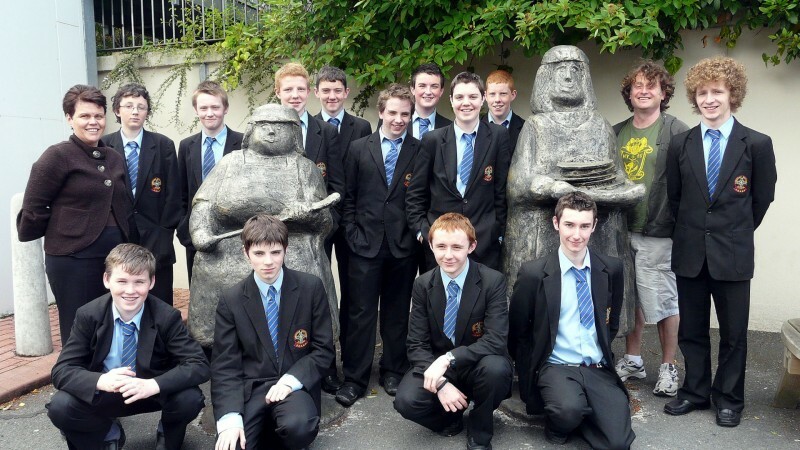 Edmund Rice Schools in Ireland have been recognised for their important contribution to the birth and growth of a sense of national identity, not least through their tireless promotion of the Irish language, culture and games. Edmund Rice Schools cater for young people from a diverse range of backgrounds and have been quick to respond to the emerging needs of students and communities. As a result The Edmund Rice School offers balanced, integrated and innovative teaching and learning experiences. It recognises that the human person has for example, personal, physical, intellectual, social, spiritual, moral, and emotional and aesthetic dimensions and seek to promote the students development in all these staff areas. The Spiritual life of each person is developed through reflection, prayer, the sacraments, liturgy, symbols, religious art and music, sacred stories of other rituals, and the services of the School chaplaincy. The Edmund Rice School welcomes students of difference Christian denominations and of other religious faiths. It encourages them to grow in their own faith and religious practice while at the same time respectably the distinctive catholic ethos of the school. It celebrates the richness and diversity of the School community. An awareness of social issues and action for social justice permeate the entire curriculum of the Edmund Rice School. A concern for social justice cannot be divorced from a concern for ecological justice. Environmental and Justice Issues are intertwined in how humans are called to relate to God’s creation. Major challenges face humanity, including environmental degradation, limits to material resources and threats to bio-diversity. The Edmund Rice School encourages the whole school community to work for social and ecological Justice in the school and in society generally. The school provides opportunities for people to live their faith by engaging in community and voluntary work in immersion projects in Ireland and in the developing world.